First one is easy to respond. The second one however, goes into the detail of ingredients, typical dishes, similarities and differences between the cuisines of surrounding countries. In an effort to decipher Turkish cuisine better, I wanted to put together a list of ingredients you can find in a typical Turkish kitchen. Most spices and ingredients have centuries worth of history and also were used for medicinal purposes. Some might be hard to find at your typical grocery store. If you can not find it, try any Middle Eastern store in your area. I am adding more to the recipes and to the list whenever I can. I gave a sample of recipes for each ingredient. If you want to see all, just search for the ingredient on the main site. I will also give some online Turkish grocery store list at the end but I found that Amazon almost always works pretty good to find the ingredients. Now, let’s pick your next secret ingredient! Aleppo Pepper (Pul Biber): It is type of hot pepper that is meaty, oily and has a nice, deep red flavor. Ripe pepper pods are semi-dried, de-seeded then crushed. It takes its name from the Syrian city, Aleppo where it is grown. Used in: Pretty much in any dish you like hot and spicy: kababs, lahmacun, meat dishes and stews, salads and dips. Allspice (Yenibahar): It is dried, unripe fruit of Pimenta dioica plant. It has a sharp, nutty flavor and a small amount goes a long way. Used in: Meat dishes, Turkish meatball, rice with currants and pine nuts. Cinnamon (Tarcin): Cinnamon is very common spice that is used in garnishing desserts in Turkey. It is also used in rice dishes such as ic pilav – rice with currants and pinenuts. Cumin (Kimyon): Cumin has been one of the most used spices in Turkish cuisine and also Middle Eastern cuisine for centuries. It is a dried seed of a herb from parsley family. It adds a deep, earthy flavor to the dishes. Used in: Turkish Kӧfte, meat dishes/stews, dips, soups. 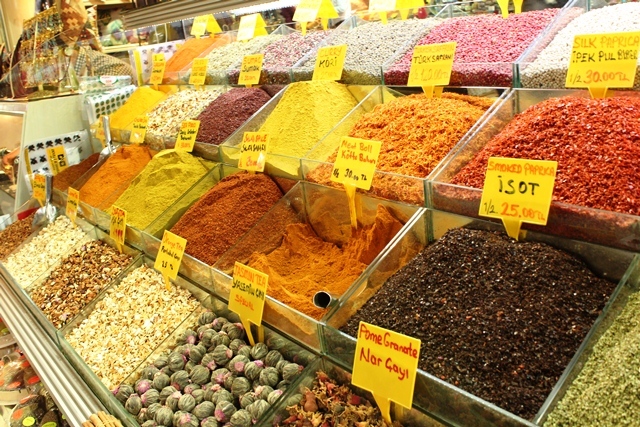 Mahlab (Mahlep): It is a common spice used in baking in the Middle East. It is made from the seeds of a cherry species, called St. Lucie. It gives a nice, nutty aroma to the baked goods, balances the sweetness. Used in: Baked goods such as cookies, breads, or what we call corek – which has small amount of sugar and buttery baked goods. 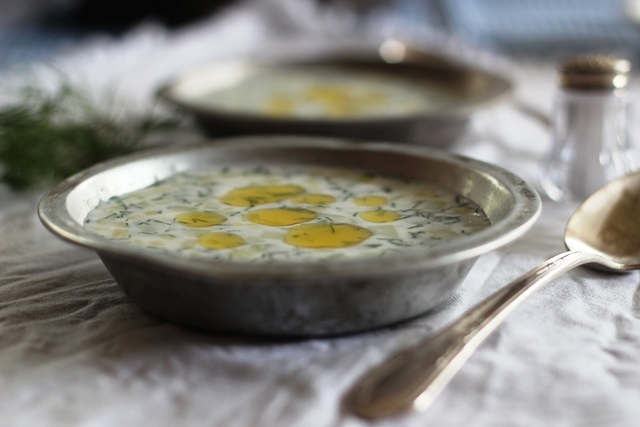 Recipes that include mahlab: Kandil simidi , Catal. 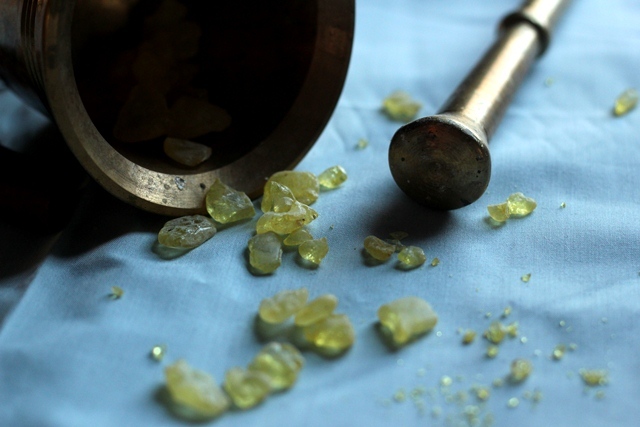 Mastic (Damlasakizi): Also called Arabic Gum (but Gum Arabic is something different). It is obtained from the resin of mastic tree. It can be used as a stabilizer or just to add aroma. It used to be used as chewing gum in the Middle East. Used in: Puddings , Turkish delight and desserts. Lately you can find Turkish coffee flavored with mastic as well. 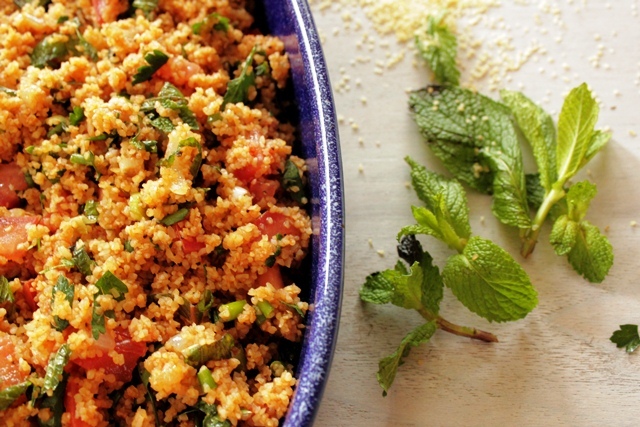 Mint (Nane): Dry form of mint is used heavily in Turkish kitchen. Addition of fresh mint also adds nice fragrance to the salads. Since mint is a very invasive and hardy herb, it is easy to find in people’s gardens, or they plant it in pots in their balconies. Used in: Salads, or really anywhere you like if you like the flavor such as stews, kababs, grain dishes. Nigella Seeds (Corekotu): Also called black cumin or black caraway. 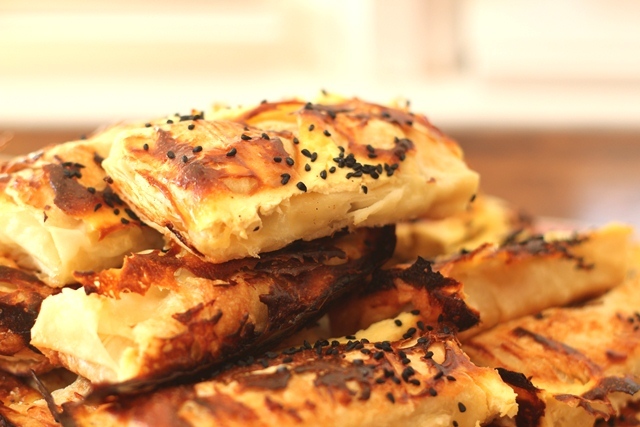 The seeds are from an annual flowering plant, called Nigella Sativa. The seeds have a sharp, kind of a bitter taste. Sesame Seeds (Susam): These are seeds from an annual plant which is claimed to be the oldest oilseed crop in human history. The dried, toasted version is normally used. Used in: Garnishing baked goods and bread. Sumac (Sumak): Sumac is ground fruit of a flowering tree . It has a nice, deep reddish-purple and lemony tart flavor. It can be used in place of lemon juice in salads without adding the sharp lemon sourness. I like to sprinkle it over my rice or tomatoes. Thyme and Oregano (Kekik): These two translates into the same word in Turkish however they provide somewhat different aroma. Thyme has been used for medicinal purposes as well as culinary. They both add nice aroma and depth of flavor the dishes. Dry form keeps well. Small amount goes a long way. In my opinion, while thyme provides a sharper flavor, oregano is much mellower and has sometimes lemony taste. Used in: Meat marinades, kababs, stews, Turkish meatballs, meat fillings for dishes such as boreks, lahmacun. Extra Virgin Olive Oil (Sizma Zeytinyagi): Olive tree is said to be first found on Asia Minor, which is the modern Turkey today. Turkey has a big olive oil production. Extra virgin is defined by having a maximum oleic acid content of 0.8%. And if you are spending a good bit on the olive oil, check if the olives are from a single source. Just because it says it is bottled in Italy, for example, does not mean that the olives are from Italy. They should be listing the country abbreviations from which they sources the olives. 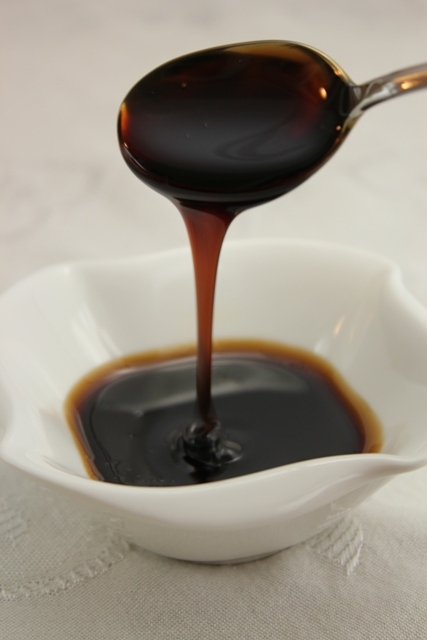 Molasses (Pekmez): Molasses used in Turkey and Middle East is generally made from grapes, carob, mulberry and pomegranate. 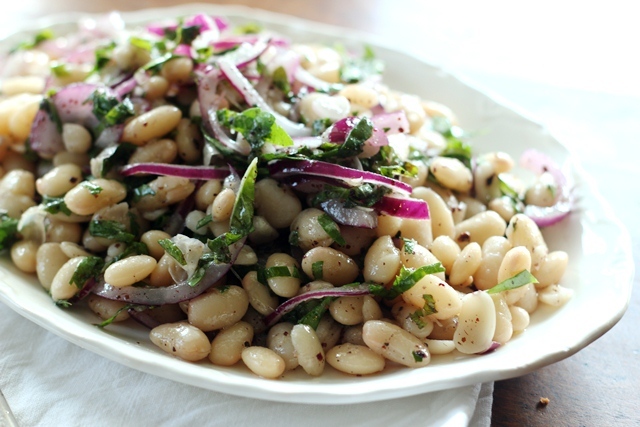 The best and the most common way to consume it to mix it with tahini and spread it on a toasted bread. It is called tahin-pekmez. During winter mornings, this was one breakfast that was pushed down our throat and we were told that “it would add more blood to our bodies and keep us warm”. Definitely easy way to gain weight. Pomegranate Molasses (Nar Eksisi): Pomegranate molasses is a reduction of pomegranate juice. It has a thick, dark red consistency and flavor is sweet-sour.It is very versatile and can go into any dish from salads to meat dishes.I find it especially good with ripe, flavorful tomatoes. Just drizzle on sliced tomatoes and cucumbers along with some extra virgin olive oil. 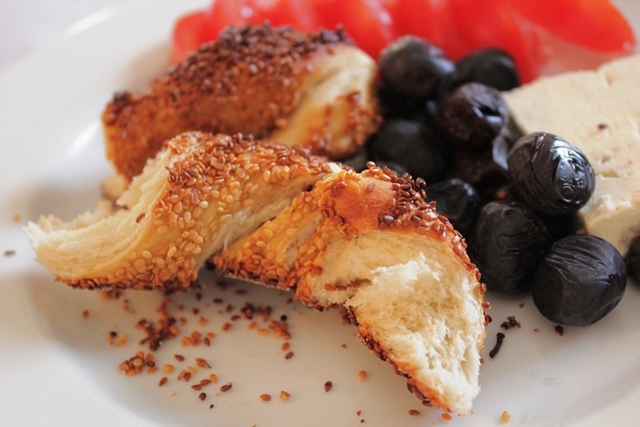 Tahini(Tahin): It is a dense paste made from hulled sesame streets. It is mixed in bread dough and added to vegetables. We also mix it with garlic and lemon juice and drizzle over baked/grilled fish or grilled meat. It can be added to the salads.See molasses for the breakfast option. Used in: Hummus, Vegetable salads or purees, baked goods. Pine Nuts (Cam Fistigi): These nuts are the edible seeds of pine. They are generally added to vegetable dishes and desserts but it can make its way into many different dishes depending on the region cuisine. I usually toast them before I use in any recipe. Used in: Grain and vegetable sides, desserts, sometimes meat dishes. Currants (Kus Uzumu): Currants are black, sweet, very flavorful grape type. Dried version is smaller than the raisins. Originally they were cultivated in the south of Greece. When I add them to rice or other dishes, I normally soak them in warm water for half an hour and wash several times to get rid of dark colored water. I have only purchased items from the first two online stores. So far, I have not had problem with my orders or deliveries. The last two, I found them via Google search, so I am not sure of their products and/or timing. Very nice……..wasnt aware of such foods based on Turkey..great one.